Raising money for charity is not a personal quest, it’s about bringing the community together in support of a cause. Here are some great ways to get everybody involved. If you are going to the trouble of organising an event to raise money then don’t just restrict yourself to one idea, go all out and combine several fundraising ideas. You’ll make much more money that way. 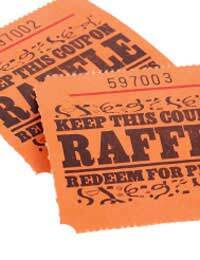 For instance, if you are organising a pub quiz evening then why not include a raffle too? Perhaps a homemade pie or cake sale could also be set up at the event to offer the contestants some sustenance and brain power. It might seem like a lot of extra work but you don’t need to do it yourself – you could ask someone involved in the quiz or the local community whether they would be willing to create a fundraising ‘sideshow’ at your event. Alternatively you could encourage everybody to take along homemade food items to donate and sell at the event. It is also a good idea to use the attention generated by your event to publicise and further some non-event fundraising ideas. For example you could invite the attendees to sponsor an upcoming charity marathon run. To give your fundraising a bit of impetus and get everyone rallying around, then why not consider setting a target amount and declaring that if it is reached you will perform a forfeit. This should be something that people would be keen to witness, such as shaving off all your hair. If your cause has a local theme – such as supporting a nearby hospital or school – then the whole community should get involved. Raising money for local charity should be a show of community togetherness not a private crusade, so don’t forget about getting the local businesses to join in – the local pubs, shops, restaurants, theatres and community clubs are there to serve the people of the area after all. Don’t be afraid of asking local businesses to donate food, drink or prizes to your charity cause. They could also help out by publicising your event at their premises. Schools, libraries or banks could also chip in by using their position as local hubs to help gather sponsorship money for you. If your event is significant to the local community then why not shout it out from the rafters and get the local media to help out? Create a striking press release and send it to the local newspaper or even TV news station, and perhaps they will be suitably convinced by its community appeal and choose to publicise it. Such coverage will not only promote your fundraising event and get more people involved, but it could also generate interest from individuals and businesses willing to donate prizes or money. Efficient online fundraising sites, such as justgiving, may have largely relegated the traditional sponsorship form to the minor league, but paper still has some advantages over its internet rival. By all means set up a sponsorship page with an online fundraising site, but that doesn’t mean you can’t use the traditional paper form as well. You can carry it around with you in your day-to-day life - you never know when you might come across a prospective sponsor. Holding onto the paper form is also sensible because not everybody that wants to support your cause has access to the internet. And after all charity fundraising is all about including everybody.